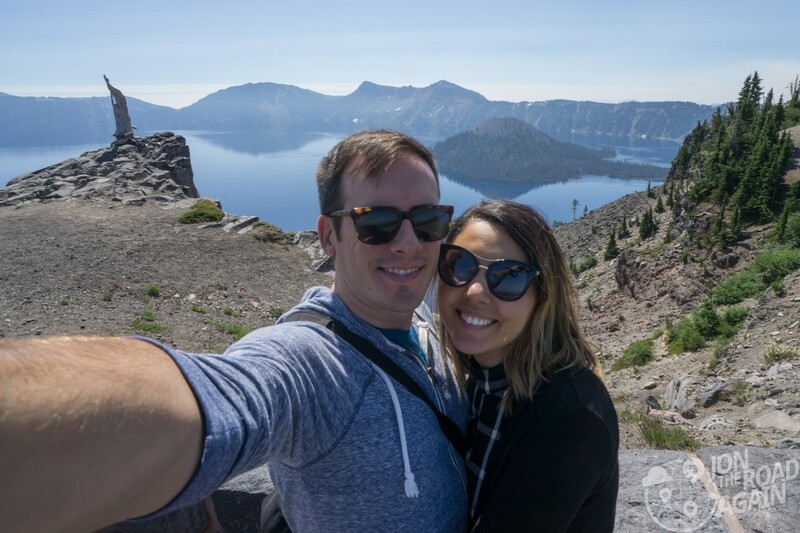 Whitney and I visited Oregon to watch the Great American Eclipse but we’re also visiting Crater Lake and the coast. Let’s see what this unique place has to offer. 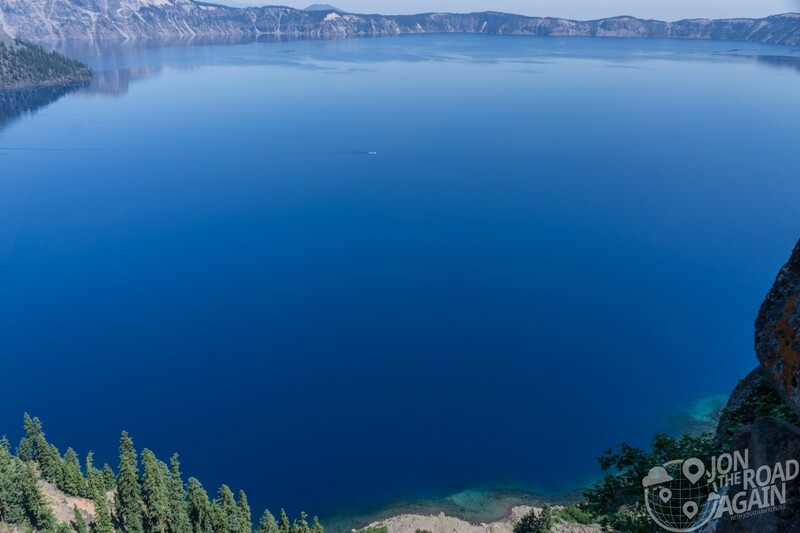 With a depth of 1,943 feet, Crater Lake is the deepest lake in the United States and the seventh deepest in the world. 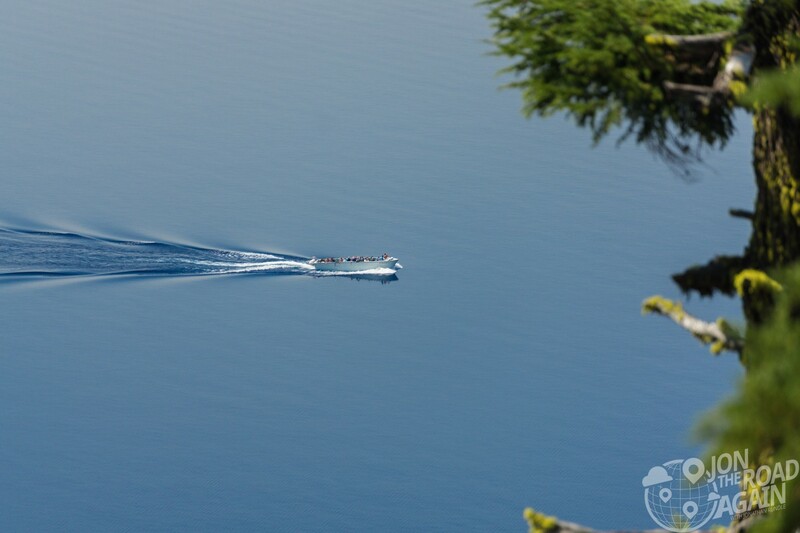 The lake is fed entirely by rain and snow which therefore contributes to this being the cleanest and clearest large body of water in the world. 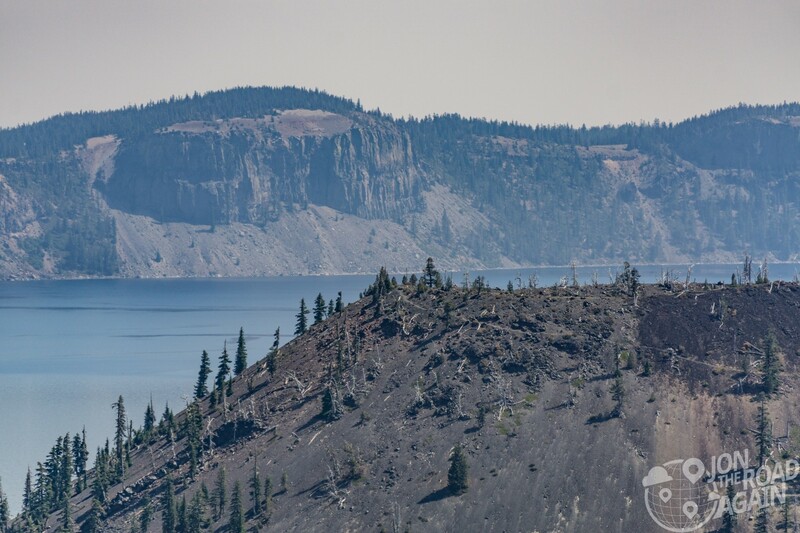 Crater Lake is the result of a collapsed volcano. 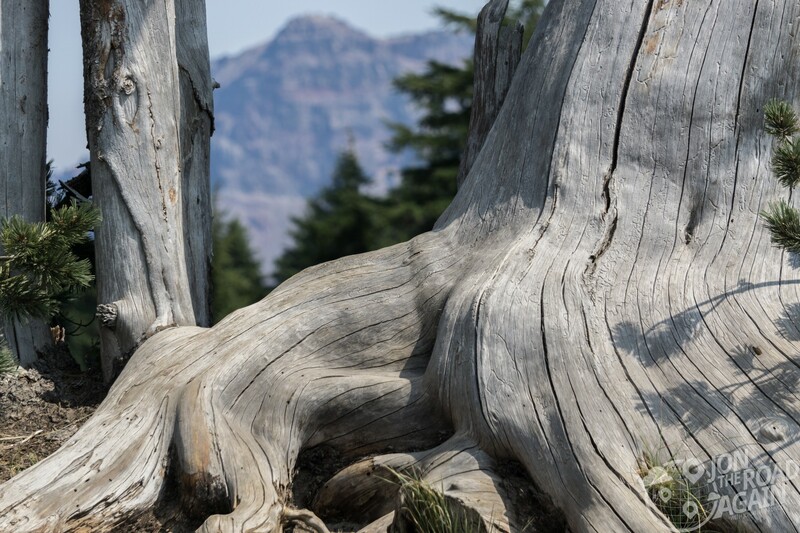 This volcano, called Mount Mazama, once stood 12,000 feet tall, but it collapsed after a major 2-day eruption 7,700 years ago. As a result, ash spread all over the region and the pyroclastic flows covered everything nearby. The Pumice Desert, which you encounter at the north entrance of the park, was covered with pumice and ash more than 200 feet deep in some places due to the explosion of Mount Mazama. 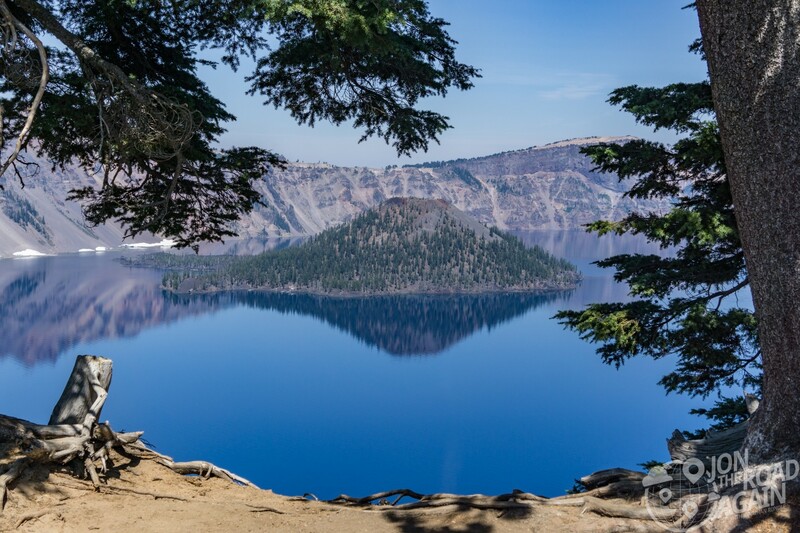 Crater Lake National Park is America’s fifth national park, decided way back in 1902 by President Teddy Roosevelt. 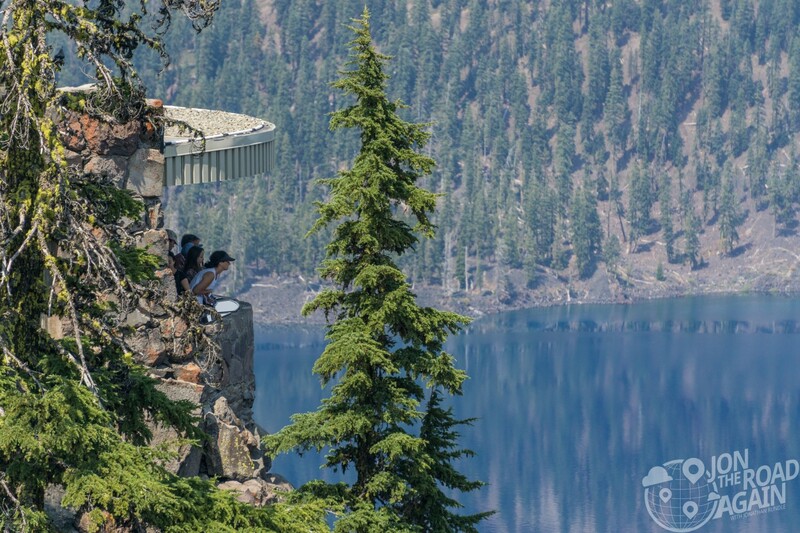 Near the Crater Lake Lodge, the Sinnott Memorial Observation Station (or Sinnott Viewing Area) offers a fantastic look at the lake. Built into Victor Rock, the architect wanted to make sure his work was as inconspicuous as possible. To make sure of this, he spent hours observing it’s construction from a row boat in the lake. Inside, the rangers offer programs designed to interest visitors of all ages. 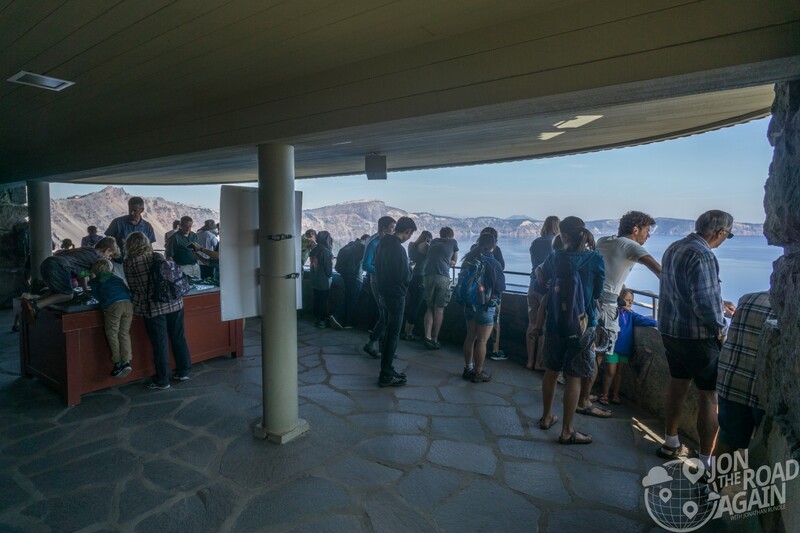 If a live presentation isn’t your thing, the back of the viewing area features a small museum with exhibits on the eruption and the nature of the surrounding area. 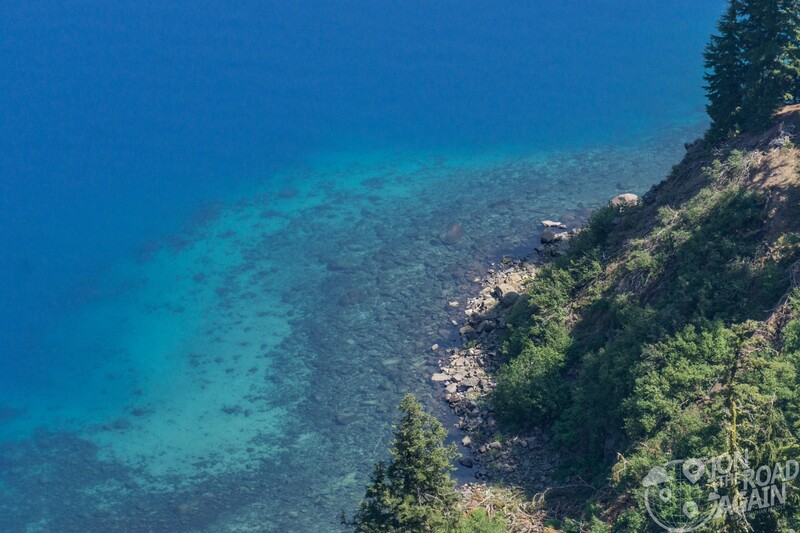 A look straight down to the lake reveals the clear water of Crater Lake – very Caribbean, don’t you think? This viewing station gives great views of Phantom Ship and Wizard Island. This rock formation is over 400,000 years old. Located on the east side of the lake, it resembles a ghost ship, especially when foggy (or smoky) which is how it earns it’s name. A major focal point is the island that protrudes from the western side of the lake. 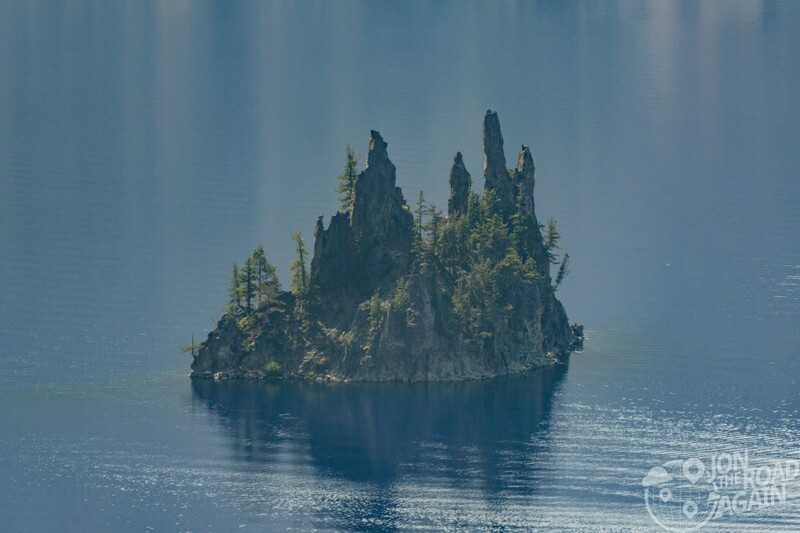 Wizard Island is a cinder cone formed from volcanic eruptions that occurred after the big blast. One of many cones in the lake, it is the only one that is tall enough to show above the water line. The next highest one, Merriam Cone is 500 ft below the surface. You can sign up for a boat tour of the lake, but I’ve never planned far enough in advance to make that happen. That same boat functions as a shuttle to hike on Wizard Island. Feel free to hike all the way to the top; just return by the end of the day – no overnights allowed on Wizard Island. The hike from the rim to the boat dock, I hear, is steep and challenging, so be aware. 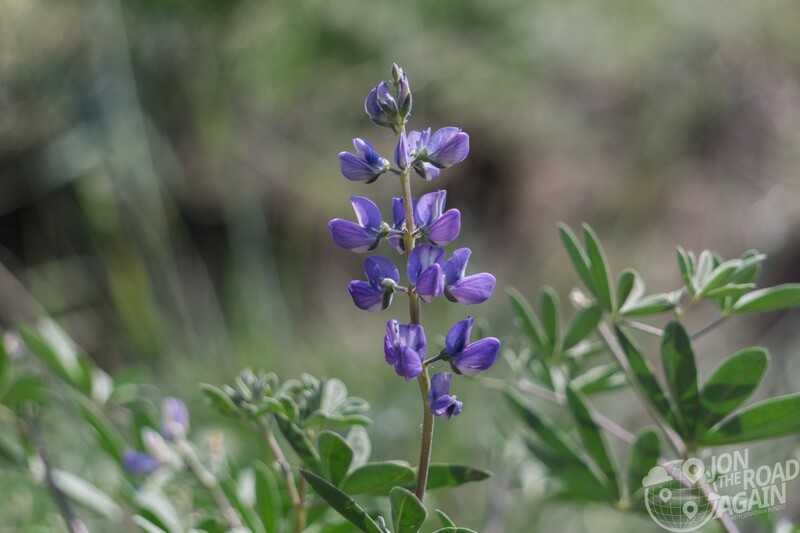 As with any location known for sweeping views, I recommend taking a break from staring into the distance (or into the blue abyss) and looking at the flora at your feet and around the rim. It’s a harsh life up here at the lake for most of the year. 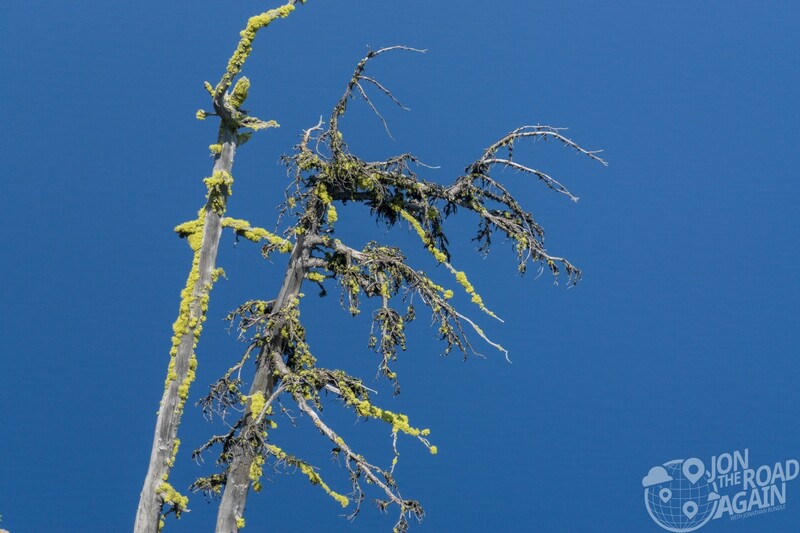 These pines and flowers braved the elements all winter long and have earned their time in the sun. 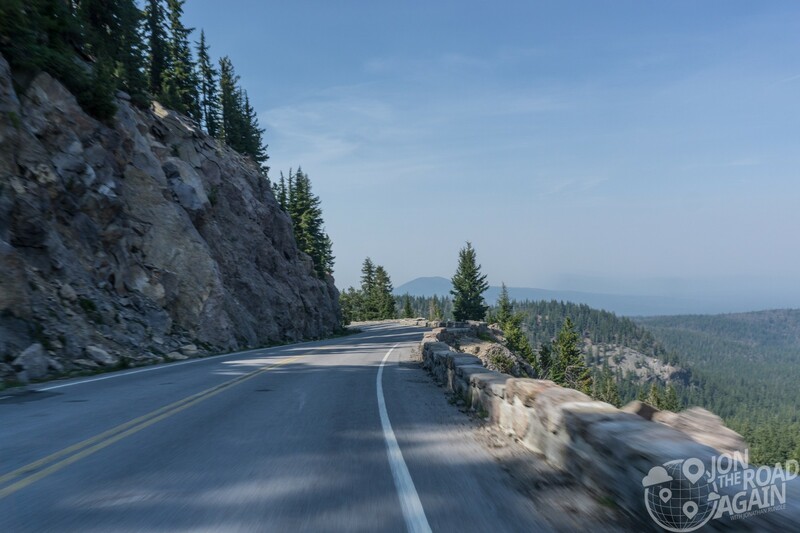 If you’re riding a motorcycle, there are areas of Rim Road that are a lot of fun. 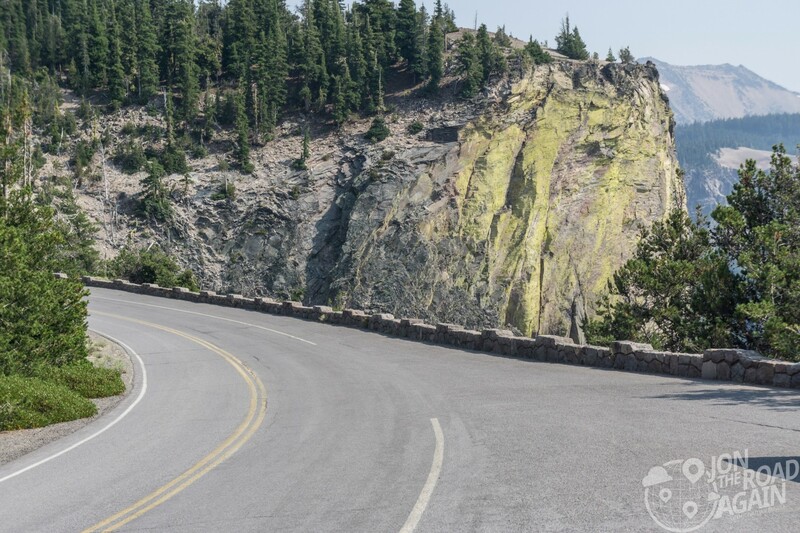 It’s worthwhile to wind up and hit these twisties, as long as RVs aren’t in the way. Unfortunately, like anywhere in the west at the end of summer, wildfires are a real concern. 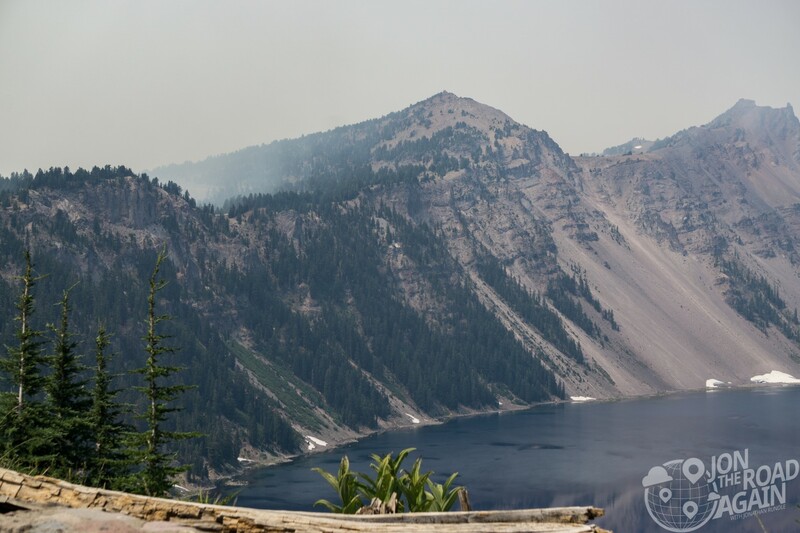 Earlier in the day smoke was not a concern but now that the winds have shifted, views of the lake have suffered. Luckily, we’ve made it all the way around before smoke starts to obscure the other side. Plan for at least half a day even if you’re not hiking. 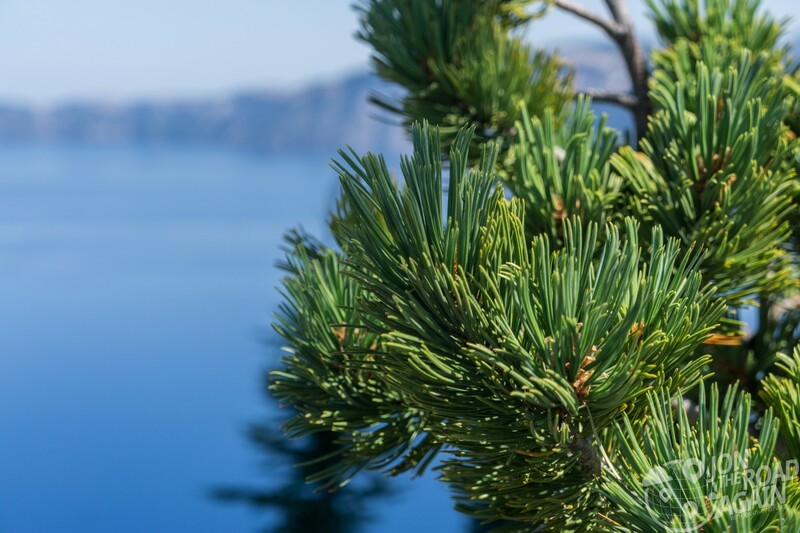 Crater Lake is open year-round all 24-hours of the day. The Rim Road closes for the winter. If you’ve got snowshoes and the will, you’re welcome to explore the park on foot. 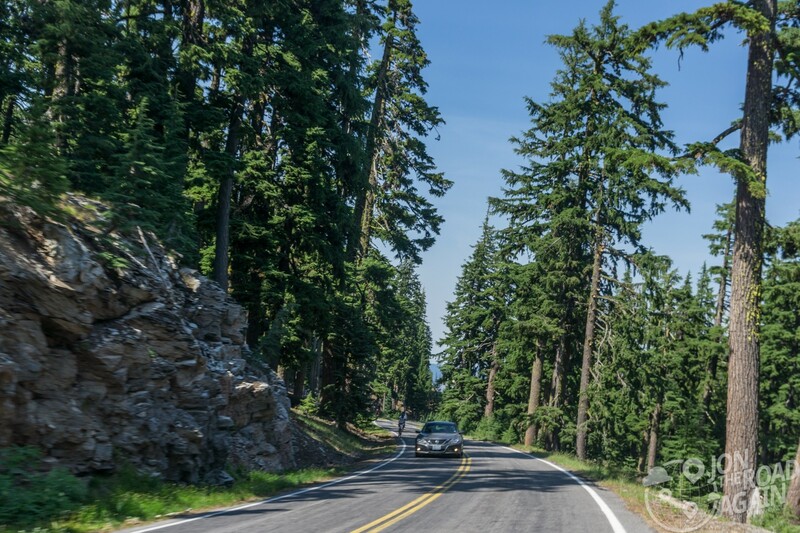 Visit the National Park Service current conditions page for up-to-the-minute updates on closures.